Gibraltar has been known for centuries as a fortress, a place where the military might of several nations set up castle and keep, bastions and ammunition depots, watchtowers and gun emplacements. It has been used as a dry harbour for naval repairs for centuries. And when the Second World War reared its ugly head, the military wheels of Gibraltar spun into motion and evacuated as many of the civilian population as was practical (almost everyone bar those who could work to serve the purposes of the military) was shipped out. Nowadays Gibraltar’s historical fortifications are a tremendous draw to tourists from all over the world. Whether travelling around the Rock on their own steam or taking advantage of one of the many tours that are available to them, visitors to Gibraltar stream to take in the defensive walls, the bastions, the batteries as well as to enjoy the incredible views of Spain, the Strait and North Africa that some of these sites provide. Take O’Hara’s Battery, for example. Named after Charles O’Hara who was Governor of Gibraltar between 1795 and 1802, this Battery stands at the highest point of the Rock. Originally intended to be a watchtower – and anyone standing at O’Hara’s Battery with its commanding view for miles around would understand why – it eventually became a gun emplacement, the 9.2 cannon that was placed there in 1901 able to achieve a range of 26 km. Another iconic part of the Fortress of Gibraltar is the Tower of Homage, more commonly referred to as Moorish Castle. However, they arrive in Gibraltar, whether by air, by land or from the cruise terminal or marinas, tourists cannot avoid noticing the Tower of Homage, situated in its striking, dominant position on Gibraltar’s Northern face and a legacy left by Gibraltar’s medieval Moorish rulers. The Tower and what is left of the Castle was rebuilt during the second Moorish period of occupation in the early 14th century. Not far from Moorish Castle, the City Under Siege exhibition is set up in buildings that were built during Britain’s early occupation of the Rock of Gibraltar. Using models, these building are set up to depict to visitors how people might have lived during the very tough conditions of Gibraltar’s many sieges, and how the British had to adapt to the local living and fighting conditions. 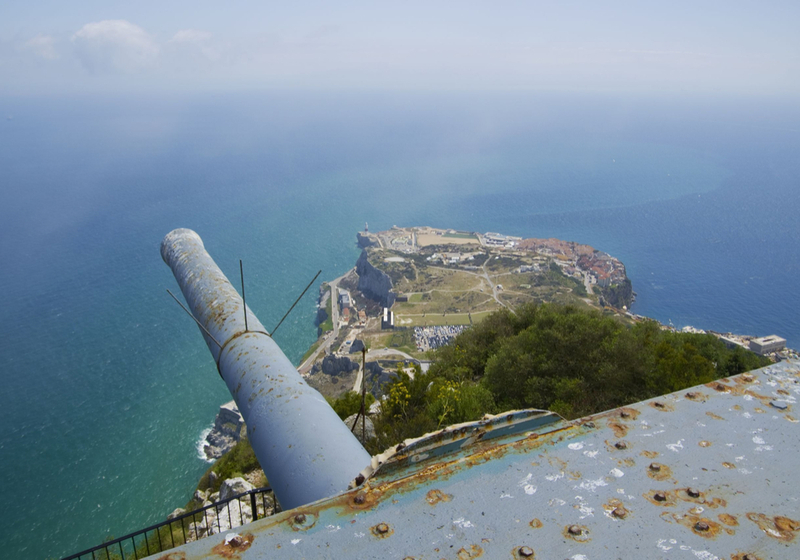 Tours, whether in groups or privately booked tours, are an ideal way to enjoy learning about Gibraltar’s military history. Whether escorted by tour guides, or with the services of trained drivers, tourists, especially those visiting Gibraltar for the first time, gain an insight into how these fortifications were built and how they were used.